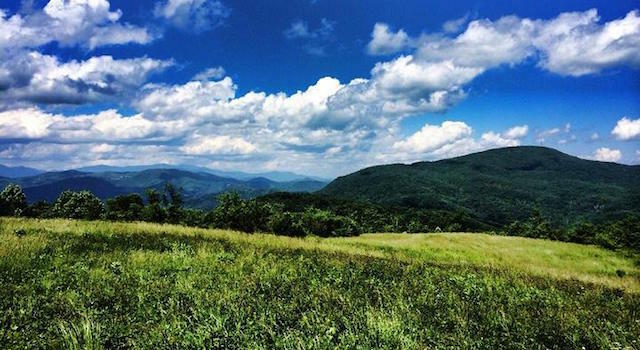 Discover the best things to do in Saluda, NC, which is just a short drive from Lake Lure, NC. 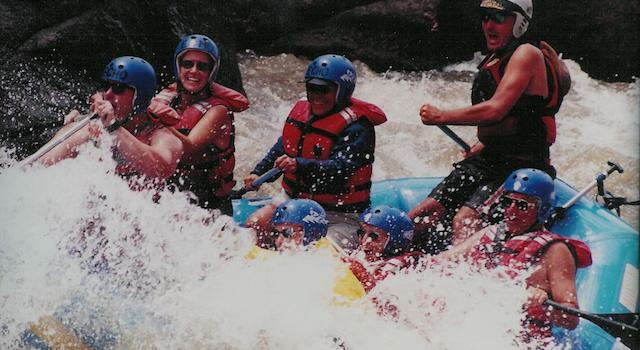 Find top Saluda events, Saluda hiking, Saluda waterfalls, restaurants, breweries, lodging, shops and more. 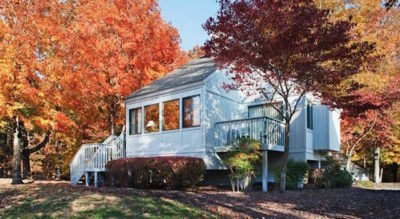 AroundLakeLure.com brings you our best picks for packing in a day of fun in the sun enjoying our area parks, paths and scenic trails in and within a short drive of Lake Lure, NC. 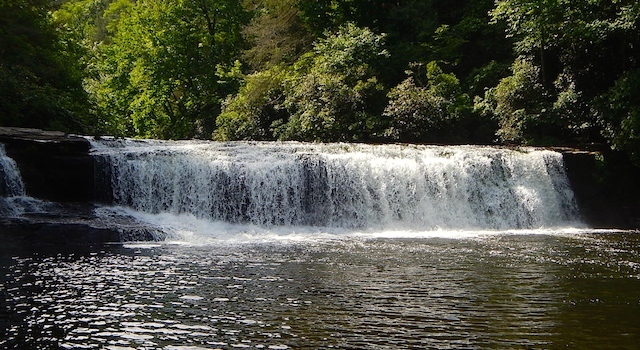 Pearson’s Falls is located in Saluda, NC within a 268 acre Botanical Preserve. 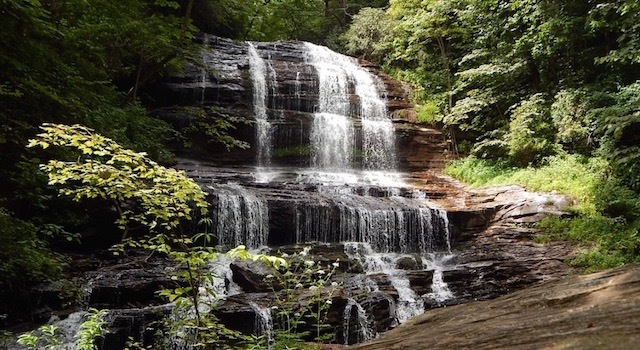 Pearson’s Falls is a spectacular 90′ tall, 30-40′ wide, multi-tiered waterfall. 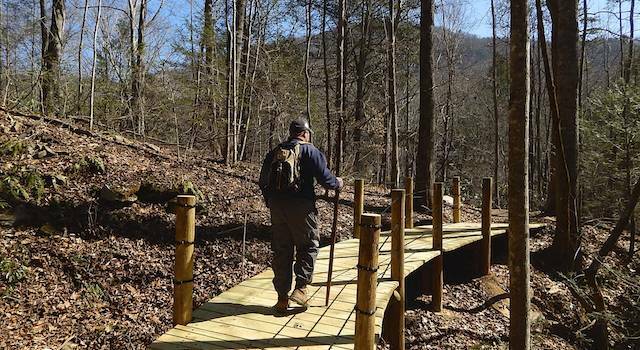 This easy hike is perfect for everyone to enjoy! 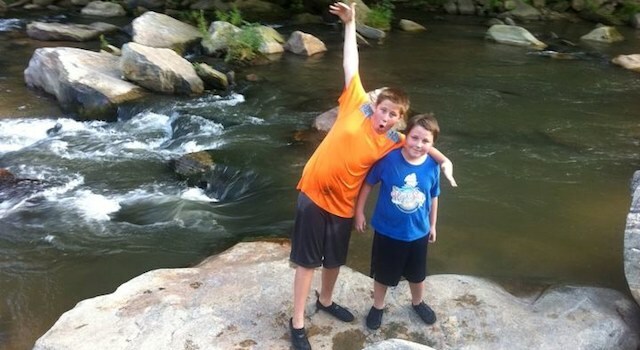 Detailed Trail Review: Hiking Big Bradley Falls Saluda, NC. Beautiful hike along Cove Creek, 25 ft. rope decent to reach the lower level of the 90 ft. Big Bradley Falls. Rock outcroppings and beautiful views all along the way. 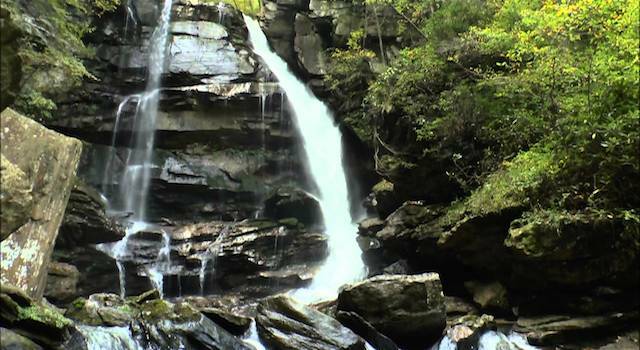 Little Bradley Falls is a triple tiered 50+ foot waterfall in Saluda, NC which is just a short drive from Lake Lure, NC. 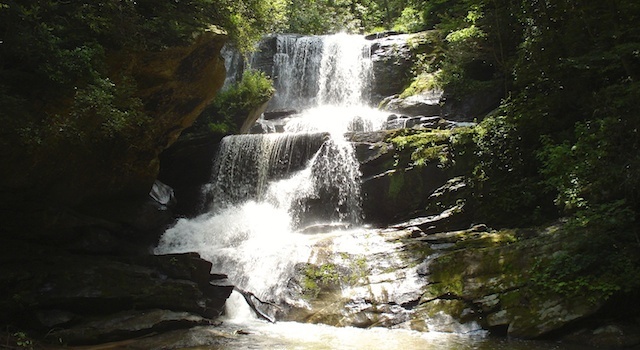 Hike to the falls along Cove Creek under a tree covered canopy to keep you cool and enjoy several water crossings along the way.